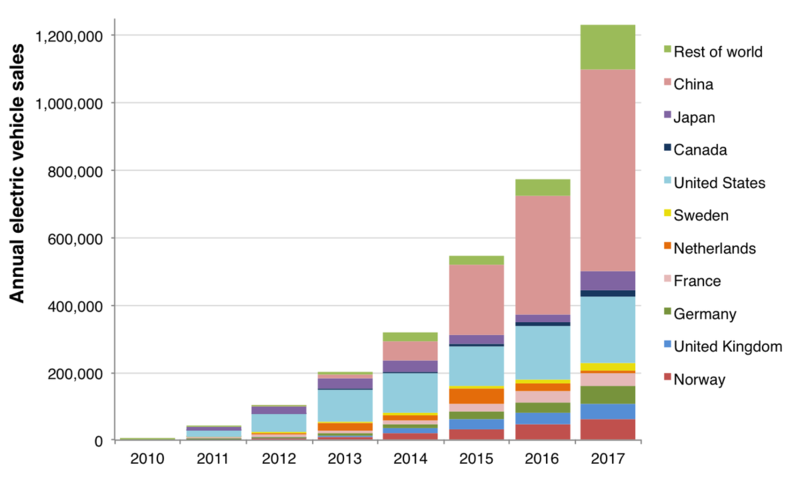 China annual EV sales are on track to hit a one-million-unit milestone this year, as demand continues to rise significantly. In the first four months of the year, China sold 225,310 EVs , for a whopping 149-percent increase over the same period in 2017. Overall, Chinese sales over the period totaled 9.5 million vehicles (electric and traditional), up roughly 5 percent. 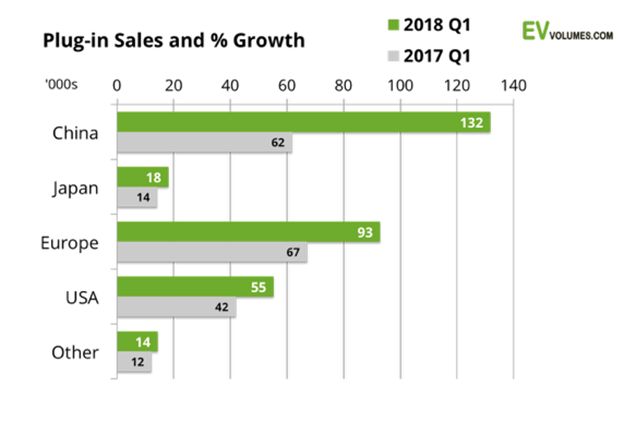 In terms of EVs, China’s sales accounted for nearly 50 percent of all EV sales in the first quarter of 2018 worldwide. Chinese government is determined to realize its EV goals. This country has already overtake Europe and the U.S. is far behind both of them. At the same time Tesla has moved to significantly boost its position in China. According to the National Enterprise Credit Information Publicity System, Tesla has registered a new electric car firm in Shanghai with focus on EVs, spare parts and batteries, also planning to announce a Chinese location for a new battery Gigafactory.